Saradi’s world is overthrown when her brother is sent to war. Struggling to juggle family life and her responsibilities as an executive, Saradi’s life implodes. Saradi, close to losing everything, decides to join the military to be a part of a mission that could save the human race from extinction and rescue her brother at the same time. Q – So, what makes the Earth 340K series special? A- I set out to write stories with multidimensional characters, having been inspired by the writers such as George RR Martin and Stephen King. I also wanted to create a book that had pace, was set in a richly detailed world, and was a blast to read from start to end. The Earth 340K books are a great mix of science fiction genres: military, dystopian, thriller, space exploration, adventure, and yes there’s even a bit of romance. I love to keep things interesting. Overall, the Earth 340K series is designed to keep you turning the pages – and I’ve made sure there’s never a dull moment. 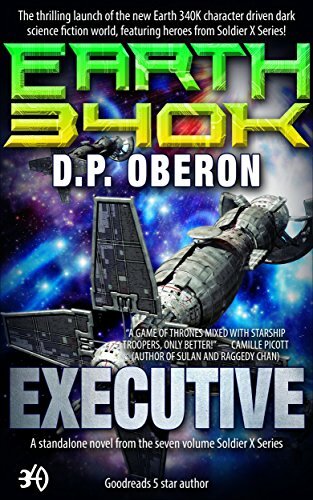 Q – So, why should readers give these books a try?A – Because the Earth 340K series is a character centric, in depth, and dark novel that takes no prisoners. I wrote it because I wanted to read something that moved me but also had pace.